Taiwanese PC maker Acer has made another big push into the smartphone market, and unveiled four new models under its “Liquid” brand that will arrive in the third quarter. While Acer did not mention product pricing in Friday’s announcement, the four handsets come with both high-level and mid to lower-level specs. Among them is a new 5.7-inch smartphone, called the Liquid X1, that’s designed for 4G LTE networks, giving it download speeds of up to 150 Mbps. The phone, targeted at the high-end market, has a 1280 by 720 pixel resolution and contains a 13-megapixel rear-facing camera and a 2-megapixel camera in the front. Inside the Liquid X1 is an 8-core 1.7 GHz processor from Taiwan’s MediaTek, and a 2700 mAh battery. The device itself weighs 160 grams, runs Android 4.4, and has 2GB of RAM, along with 16GB of memory. Acer has included a microSD card slot on the phone for expandable storage. The Liquid X1, positioned as a so-called “phablet”, comes with a feature called “Acer Zoom Fit” that can adjust the phone’s user interface to a smaller 4-inch size for one-hand operation. In addition, the Liquid X1 offers a splitscreen function, letting users operate different mobile apps at the same time. On Friday, the PC maker also announced two other Android phones, the Liquid E700 and E600, both of which come with 5-inch screens. In the E700’s case, Acer built the device with a large 3500 mAh battery, and the ability to hold three SIM cards. The E700 has a screen resolution at 1080 by 720, and uses a quad-core 1.3 GHz processor from MediaTek. It comes with only 1GB of RAM and 4GB of storage, but the phone has a microSD card slot for more memory. For picture taking, the E700 has an 8-megapixel rear-facing camera, and a 2-megapixel front-facing camera. The phone’s sibling, the E600, has a more modest screen resolution at 854 by 480 pixels, and comes with a smaller battery at 2500 mAh. Another difference is that the E600 is built for 4G LTE networks, and uses a 1.2 GHz quad-core processor from Qualcomm. The fourth phone Acer unveiled is a budget Android handset called the Liquid Z200 that’s meant for first-time smartphone users. The no-frills device comes with four preset profiles, including one targeted at younger users and another for the elderly. The profiles offer a simpler layout and streamlined features for quick access to phone calls and text messaging. In terms of specs, the Z200 has a 4-inch screen at a 800 by 480 resolution. Under the hood is a dual-core 1.0 GHz MediaTek processor, with 4GB of storage and 512MB of RAM. A 2-megapixel camera is located in the back, and the phone has a 1300 mAh battery. Acer made no mention of what markets the company is targeting, but in the past it released phones to countries in Europe and Asia. With the PC market continuing to shrink, the company is expanding in mobile devices, and earlier this year unveiled its first wearable product, called the Liquid Leap, which will also arrive in the third quarter. The company has yet to become a major smartphone player. But it is hoping the devices will help drive adoption of its consumer cloud services, called ”Build Your Own Cloud.” These services will let users automatically synchronize files and multimedia between different products, including PCs, smartphones and tablets. 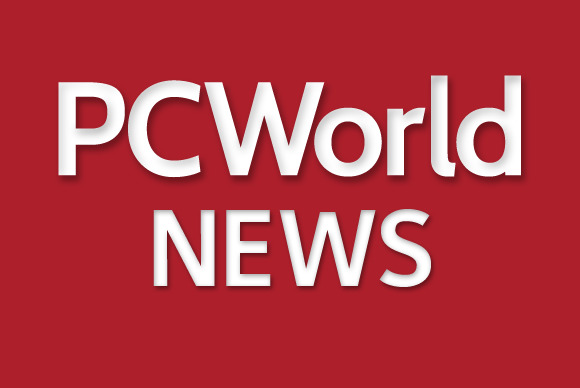 The PC maker is expected to show off the new phones at the Computex trade show in Taipei next week.